Smaragdina | Zonyxa. Unique and contemporary jewellery for Work. Love. Play. 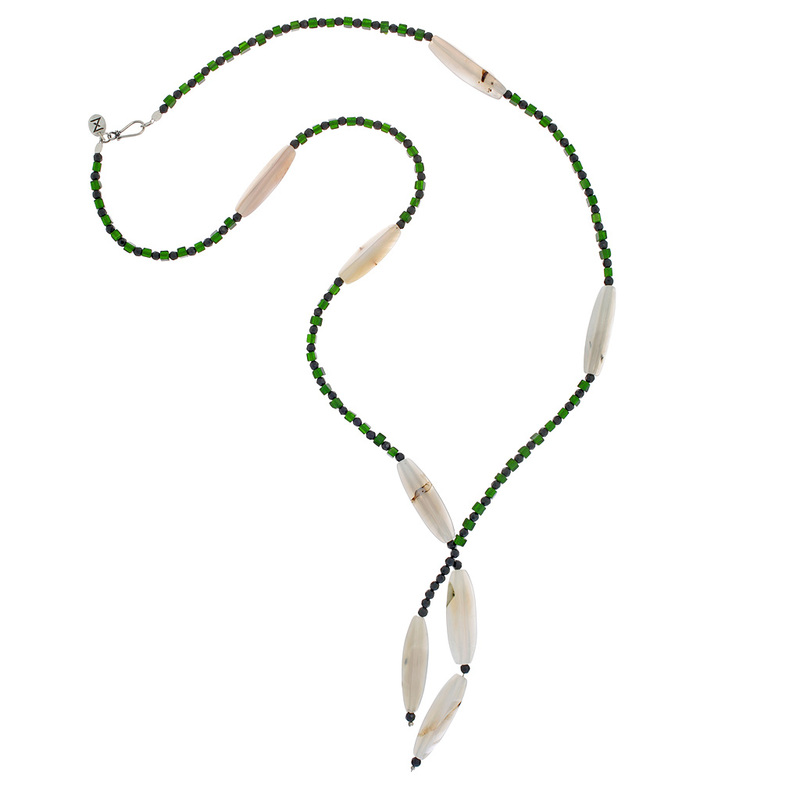 The smooth milky lozenges of triangular agate are beautiful to the touch and are presented on a rope of delicate dark green cubes of smaragd and shiny faceted balls of black onyx. An alluring combination and ideal choice for the soiree or cocktail party.